Ronny Chieng is undoubtedly one of Australia’s biggest new comedy stars. You’ve seen him everywhere even if you don’t quite know it yet – he starred as the talking Mr. Meowgi in Sam Simmons’ Problems, and has recently returned to screens on ABC’s dramedy It’s a Date. 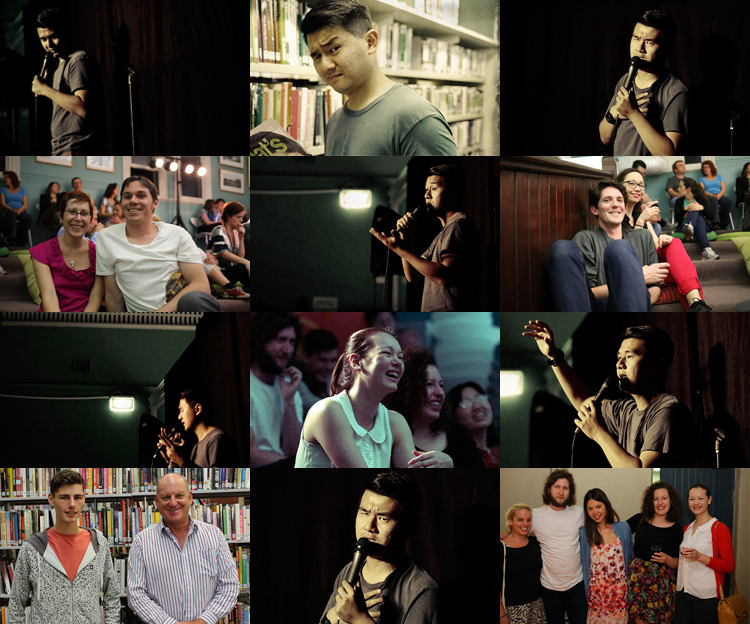 Ronny dropped in at Late Night Library fresh off the back of a stellar six months of festival and international touring, starting with a spot on the Melbourne International Comedy Festival Gala, followed by a critically acclaimed and Best of the Fest nominated show at Sydney Comedy Festival. After next heading outback with the Melbourne Comedy Festival Roadshow, Ronny took off for an acclaimed international tour starting with an appearance at the Montreal Just for Laughs Festival 2013 on the Eddie Izzard Gala which critics called “showstopping” [LaughSpin] and “Brilliant” [Montreal Gazette]. On then to Edinburgh Fringe Festival where Ronny was named by both Time Out London and Chortle UK as one of the top ten international acts at the Fringe, followed by a solo season at London’s SOHO Theatre earmarked by Time Out London as both a Critics Choice and one of the Top Ten comedy shows in London. A stand up comedian with a Degree in Commerce and a Degree in Law, Ronny is a Chinese guy, born in Johor Bahru, Malaysia, raised in New Hampshire, Massachusetts, USA and Singapore. Ronny came to Australia to attend the University of Melbourne, and he’s been on the rise as one of Australia’s finest comedy talents ever since. Not too shabby for someone who kicked off their comedy career in 2009.